Last year I had a lot of fun using stock images and a soundtrack to cobble together a very short book trailer for THE ACCIDENT. This year I bought a handheld video camera and filmed a trailer for THE LIE. It’s deliberately ‘home made’ looking. What do you think? 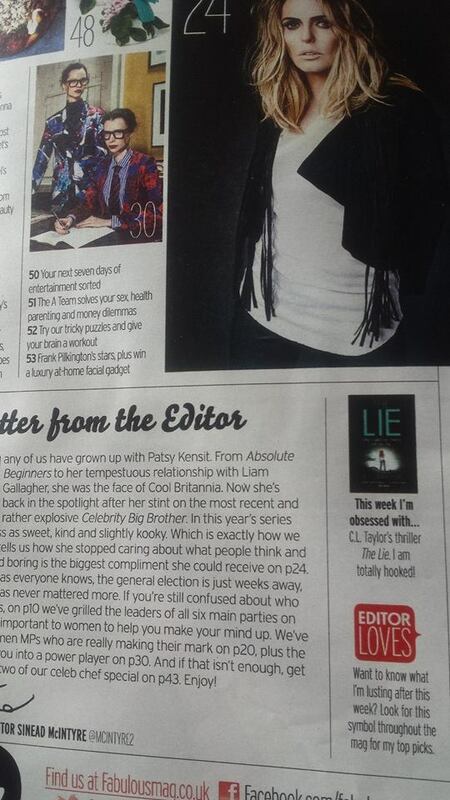 Yesterday I was delighted to find a recommendation for THE LIE on the first page of THE SUN’s Fabulous magazine. Huge thanks to the editor, Sinead McIntyre, for including it. This afternoon I’m off to HarperCollins towers to launch THE LIE to bloggers and reviewers. They’ll be treated to wine, nibbles, a tour of the building and…er…me reading a passage from The Lie and doing a Q&A session with my editor. Looking forward to meeting everyone! 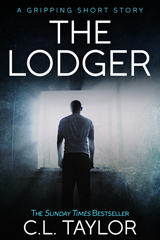 This entry was posted in The Lie and tagged psychological thriller book trailer, psychological thriller launch party, The Lie book trailer, The Lie in Fabulous magazine, thriller book trailer. Bookmark the permalink. Hi Cally, great trailer – really gets across what the book is about. Good luck with your launch party. I’ve just downloaded The Accident onto my kindle so I’m looking forward to reading it.